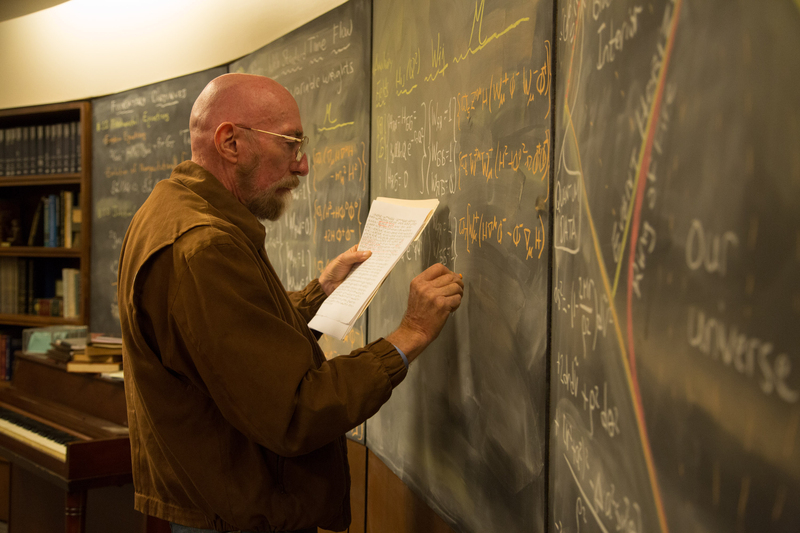 For my day job at Air & Space / Smithsonian, I interviewed Kip Thorne, the theoretical physicist who, along with his friend the movie producer Lynda Obst, conceived the film Interstellar back in 2006. Thorne remained closely involved with the picture throughout its writing, production, and editing, and has now published a 324-page companion to the film called The Science of “Interstellar” laying out his scientific rationalization for every aspect of its story — even the Love Tesseract Wormhole. DUH: Don’t read this interview if you intend to see Interstellar but haven’t yet. And if that’s your situation, and you live anywhere in the Washington, DC diaspora, make sure to catch the movie in 70mm IMAX at either the National Air & Space Museum downtown or at the Steven F. Udvar-Hazy Center out by Dulles International Airport. I’ve seen it both this way and in digital IMAX, and the 70mm presentation is more painterly and majestic. It also sounds better, curiously. The muddy sound mix we talked about on Pop Culture Happy Hour last week (based on a digital IMAX screening in Silver Spring, Maryland) was not a problem when I saw the film again at NASM in 70mm. This entry was posted in interviews, movies and tagged INTERSTELLAR, Kip Thorne, movies, outer space, physics, Smithsonian Air & Space. Bookmark the permalink.